Spring is steadily approaching and after a long, cold winter, now is the time to get back in shape. Your condition needs to be brought back up to a respectable level and your pace reignited. This is where the Nike Free comes into the frame, as it is the perfect partner for training the dormant muscles, with small intense runs in focus. 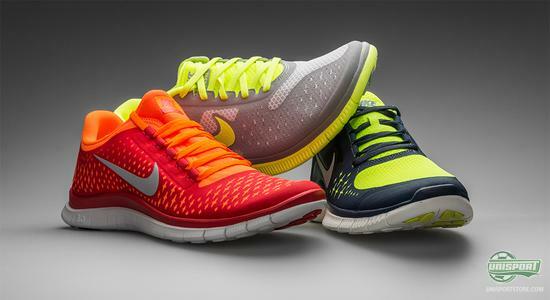 Nike Free is one of the most famous running shoes on sale and as the name suggests, it is also one of the most liberating shoes to run in. It's very low weight and excellent flexibility makes the running experience extremely natural and it is the closest you will ever get to running barefoot. 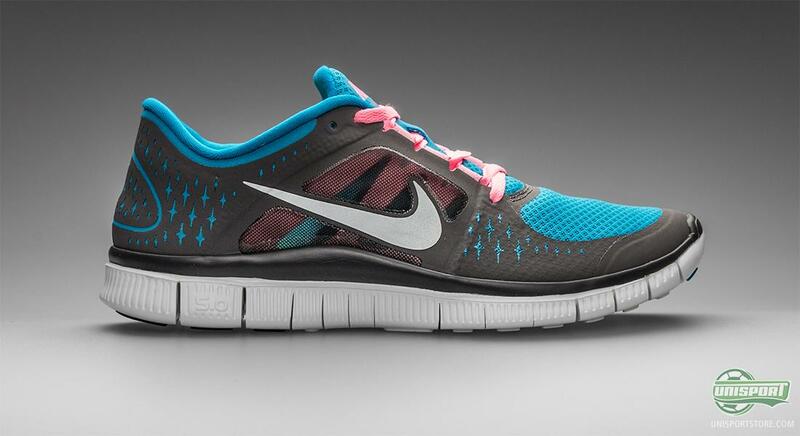 This makes the Nike Free best suitable for short intense runs. 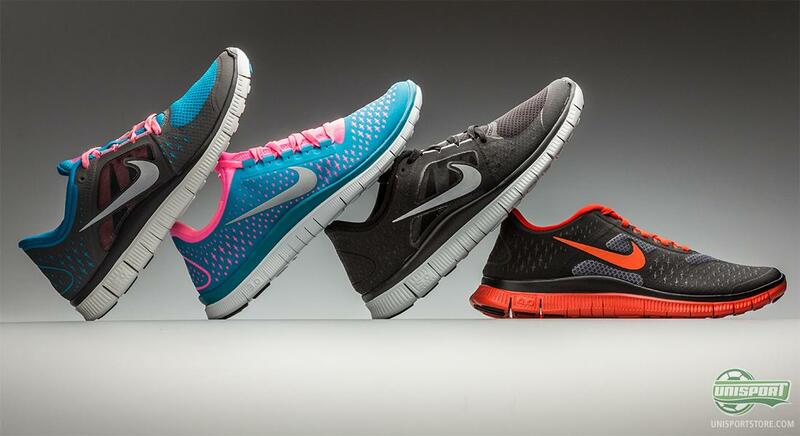 The Nike Free-collection is vast in both colours and models and you can easily be spoiled for choice and not pick them apart, but once you know the system, it is actually quite logical. Nike Free is named with numbers, which start at 1.0 and end on 7.0, which correlates to the amount of support in the shoe, with 1.0 being the lowest and therefore least supportive and the 7.0 being the highest end of the scale and therefore the most supporting. 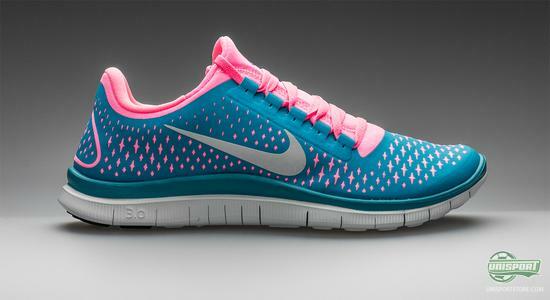 You can find all the new spring colours on our Nike Free campaign site right here. In the video above you get the inside scoop and explanation of the ideas and thoughts behind the Nike Free concept and why the flexible sole is so important to the shoe. It has some very clear advantages, which include increased training of the muscles in your feet and legs, as a result of the very unhindered and natural movements you get with the Free. 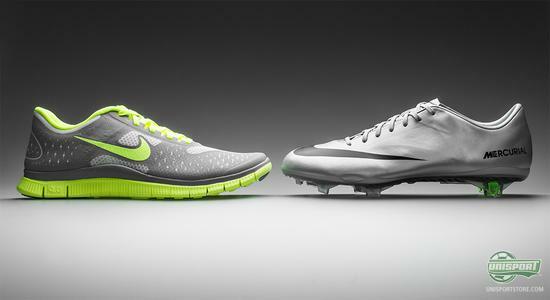 Here we are focusing on the Nike Free 3.0 and 4.0, which are placed in the middle of the scale. 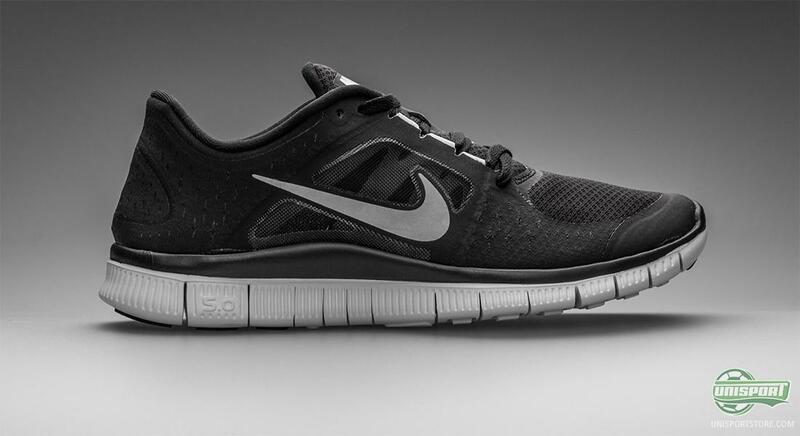 You shouldn't expect shock absorbency in the Free running shoes, like the one you're probably used to in more conventional running shoes, but with the unique flexibility and crazy light weight in mind, it is more than respectable. 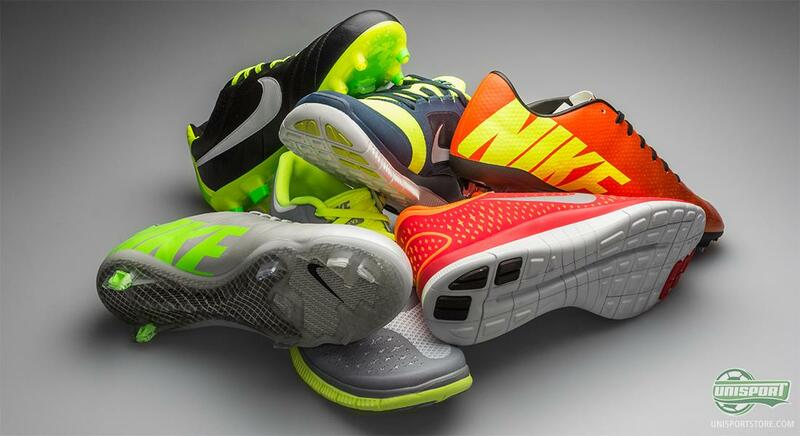 The 3.0 and 4.0 are in the barefoot end of the Free-continuum, which makes it very well suited for football related exercise. 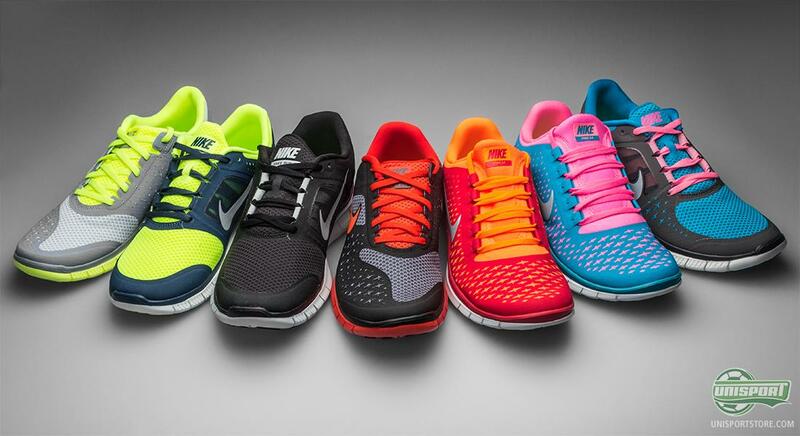 Nike Free is therefore the perfect partner for anyone, who wishes to brush up their shape before the spring season. Thanks to the good flexibility in the sole you can take full advantage of the foots natural motion and thus train your intrinsic muscles to a degree you never could in normal shoes. This makes the Nike Free perfect for interval training and short intense runs, which help to give you the extra fitness advantage, when the starting line-up is picked in the summer games. 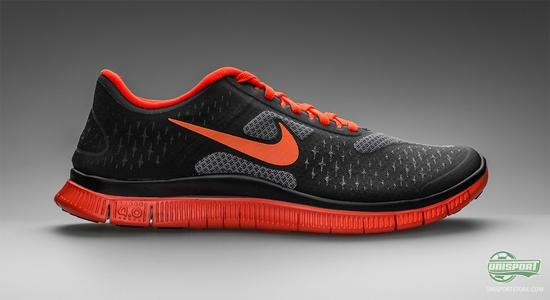 The upper on the Nike Free is an equally important part of the concept, as it offers free movement for the foot and toes. 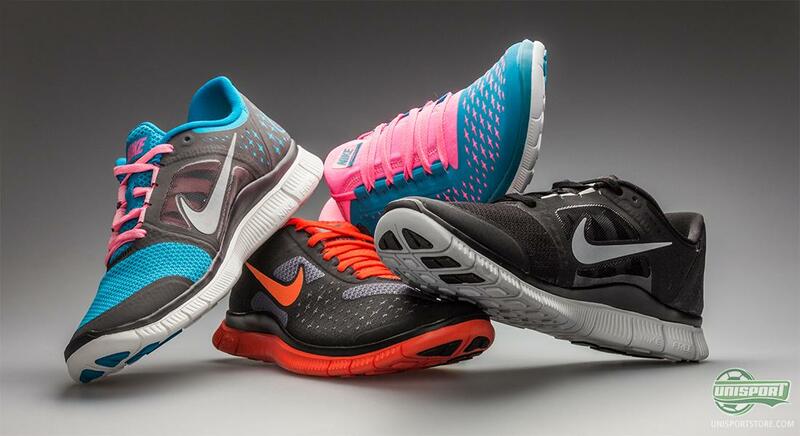 The soft and flexible mesh-material, which, by the way, also gives extremely good breathe ability, helps to make this an extremely comfortable shoe. It is so, whether you would use it as a fashionable shoe for your spare time, as a training shoe, or a running shoe; the choice is yours. Nike Free is one of the most diverse shoes on sale and can often be seen as a piece of everyday clothing. The light shoes come in a great range of colourways, which gives you rich opportunity to express yourself, this is definitely one of the reasons why it has established itself as a very fashionable shoe. 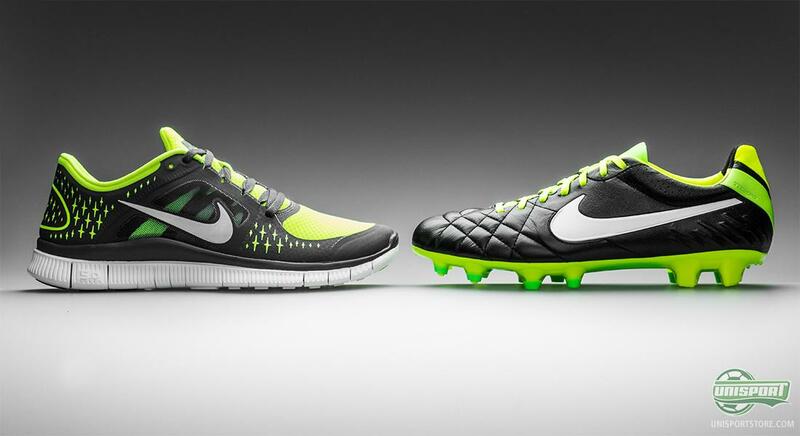 The new spring collection from Nike Free also bares great resemblance to the current Nike football colourways. This just makes the bond between football and everyday life even stronger; a connection we call The Look of Football. The weather outside looks to be taking a turn for the better and it won't be long before we run out of excuses to stay indoors. We definitely recommend you lace up a pair of Nike Free and get your run on, so you can get back in shape for the football season. Football is a lifestyle, which also needs preserving when the season isn't running, so it's all about being ready to impress from the first kick-off. 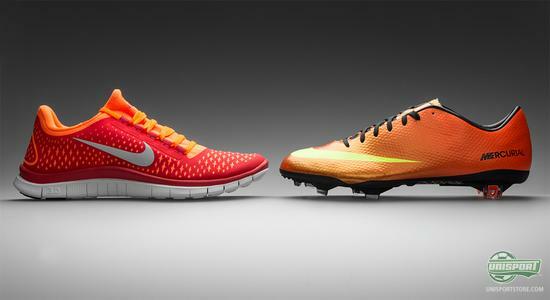 Both the design and performance of the Nike Free encourages training and the new, fresh colourways also deserve to be showed off. So, what are you waiting for? Which of the colourways will you be sprinting into the season in? Share your comment in the box down below.